From our UKDN Waterflow (LG) base in Wetherby, we cover domestic and commercial clients in villages, towns and cities across Yorkshire and the North East — up to Humberside, Teesside, Tyneside and the Scottish border and down to Chesterfield in Derbyshire. Our drainage experts are on the road 24/7, so we use GPS tracking to find your nearest available engineer. Just call 01937 858 422 for a super fast response. With the response team on the road day and night, you get a fast and effective 24/7 service for any drainage emergency: blocked drain, drain clearance, blocked sink, blocked toilet. You call; we will be there. Commercial, industrial and social enterprise clients — including insurers and social housing organisations — rely on our Leeds’ team to unblock and clear drains and to deal with flooding. But they also look to us for drainage asset management, CCTV surveying, cleaning, remedial work (via excavation or no-dig technology) and Planned Maintenance Programmes. And, in rural areas particularly, we carry out septic tank emptying and maintenance, and biotank fitting and replacement for our customers. On top of that, we do homebuyers’ drainage surveys, which are great value, starting at just £140 plus VAT. Complete the contact form for more details on any UKDN Waterflow (LG) services. 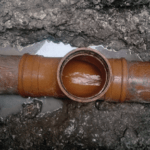 If you have a drainage emergency, or need more details about our drainage services, call 01937 858 422.